When was the country we now know as the United States first settled? If you said 1620 for the Pilgrims you are way off. “The country we now know as the United States”, which I will call America for the rest of this post, was first settled by Asians thousands of years ago. When the Pilgrims landed, America already had millions of people. Like, say, Squanto, who taught them how to live in America. There were already Jews in New Mexico, Filipinos had already arrived in California and there were blacks living in Virginia, Florida and Puerto Rico. People who would become Chicanos were already in the south-west. All here before the Pilgrims came over on the Mayflower. In Canada, just so you know, there white people already living in Nova Scotia and Quebec and English-speaking people in Newfoundland. The Pilgrims were part of a white wave. Pilgrim society did not even grow to take over the rest, making it the true starting point of what we now know as White America. In New England it was quickly overtaken by the Puritans, who came in the 1630s. And neither had much to do with the early history of the American South. If the Pilgrims had failed, as Champlain had in Massachusetts in 1606, American history would have been much the same. So why the Pilgrims? Why do they get so much attention? Because of Thanksgiving. Thanksgiving was a New England holiday made national by Lincoln during the civil war. The Pilgrims did not become a part of it till the 1890s. Thanksgiving – the holiday, the Pilgrim story, all of it – functions as an origin myth. But whose origin myth? Well, since Thanksgiving as we know it, down to the cranberries, comes from Northern Wasps, it is their origin myth. After destroying the South in the civil war they pretty much ran the country for a hundred years, so their origin myth has become the country’s origin myth. Even though not everyone came over on the Mayflower, even though many came before the Mayflower. 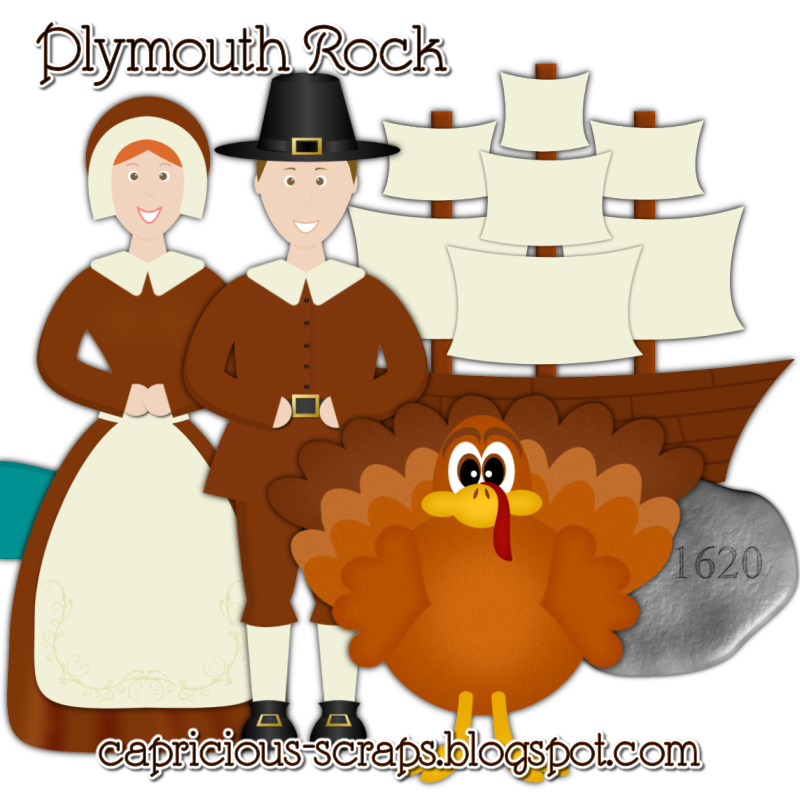 Feel the hype: Because of Thanksgiving schoolchildren all over America learn about the Pilgrims and Squanto and the Mayflower and Plymouth Rock and all the rest. So the Pilgrims become far more important in people’s minds than they were back in the 1600s. Ah, yes, the pious Pilgrims. They embodied such determination and fortitude. It’s enough to make every (white) American proud. To quote Napoleon Bonaparte “History is lies agreed upon” Happy Thanksgiving. Good to know, learn something new every day? Another reason why school textbooks should be burned in a massive bonfire and replaced with those that actually teach historical truth. Was this also mentioned in James Loewen’s “Lies …”? So the ‘Wild Wild West’. would be a little more colorful back then huh? We distanced ourselves from this slave holiday. Yesterday was just another day. Burning booking ,dude are you kidding ,that classic fascist policy. Regardless of their content books are a historical record ,people will learn the “truth” by gaining more knowledge and from their mistakes ,not by destroying information no matter how misguided the source. I like that; in one the most science dependent nations in the most technological ages known we still have and need an origin myth?! Cause the truth is just to ah, um boring,painful inconvenient??! what ya’ll do about that family togetherness and sharing feeling that has become associated with these holidays and season which just happen to be located at the end of the year? Actually, I was joking. Granted, it wasn’t a good one, but I wasn’t being totally serious. On the real, the actual, untouched history of Thanksgiving as well as the history of this country has to be told. People can only live in their fantasy for so long. It’s not healthy that they remain in their “worlds”. Reality can creep up and they wouldn’t know what to do. I’ve seen people act hysterical when they face the truth. We have family dinners all the time. We bake and cook and share all the time. We don’t miss it. The history books I read about when it came to the occupation of the US by British Europeans was the story of Jamestown, not Plymouth. Its my understanding that the reason why Thanksgiving is a maj holiday is because its the first time that different diverse people worked together and helped one another survive. Although later on the once that were helped stabbed the other in the back. Mbeti is talking as though ‘holidays’ are neutral, innocent things. Every cultural ‘flag’ carries a narrative of power. Its like suggesting that here in South Africa we should continue celebrating Voortrekkers Day (a huge apartheid era ‘national holiday’ which, thankfully, is no longer celebrated) I applaud people like ‘truthbetold’.who have freed themselves from this kind of mental slavery. I have never thought of it as such, but I do find the concept of thanksgiving being a form of mental slavery quite interesting. Your information is interesting just to ponder from an intellectual viewpoint, but does anyone really care how Thanksgiving started? Not really. Just like families celebrating Christmas don’t care if it’s origins are a Germanic solstice festival and not the birth of Christ. Meanings behind holidays evolve. And this is true for many holidays around the world(as Mexican-Americans what the origin of Cinco de Mayo is, most of them have no idea). For most people, Thanksgiving is a time to enjoy a traditional N. American meal with people they care about, to the point that they will fly across country to do it. Nobody’s really even thinking about Pilgrims are Natives or Mayflower boats. Most don’t really care, even most white people. It’s just a special day set aside to get together with the family. Personally I love the holiday, the foods associated with it, the smells, the brisk weather, the fall foliage that comes with part of the year, the anticipation of the holiday season, the camaraderie with friends and family. What’s not to like about that? I suppose Christmas is supposed to be religious but most christians kind of dropped that angle a long time ago, I mean hell the Grinch was written back in 66′ and christmas was already commercialized by then. I don’t know if true but I think the original christmas was about suriving the winter without Odin killing you or some such sort of thing. I mean I know I’m athiest and I celebrate christmas with my family, get together, do the presents etc…..
How many christmas movies deal w/christ vs Santa Clause? Thanksgiving is the same thing, we don’t celebrate coming to gether in “peace” with the natives, we just eat a bunch of food gorging ourselves and hang out with family. And basically commercialized family get togethers is all that Thanksgiving is, very few people give any thought to the ideas behind it ala Pilgrims and Indians having lunch together and even then its more of a something that could have happened than more of an out and out “fact” kind of deal. That being said; yeah this is just another example of just how bad the history classes in our schools really are. I’m sure there’s a bit of mythology surrounding the origins of Thanksgiving, but no more than there is with any cultural holiday anywhere else in the world. Some keep saying Thanksgiving is the celebration of genocide against Native Americans. The Pilgrims weren’t killing Indians*. Not all Indians were at war with settlers. In many cases they were allies and traded with the Europeans. Some were enemies with other Indian tribes and fought along side Europeans to defeat enemy tribes. Most Indians by far died from lack of immunity to European diseases, not a genocide. Most countries have a history of conquest and displacement of some former group, it’s nothing unique to America at all and not something that tarnishes this country to point of making it uniquely reprehensible. After all there were *empires* in pre-Colombian America, W. Africa and Europe. Empires are based upon capturing territory from weaker adversaries and making them your subjects. Americans, just eat your damn Turkey and enjoy your family on Thanksgiving and stop drowning yourselves in guilt for something that was basically universal in every part of this planet. * and yes I know the official term is “Native American” but I get sick of typing out a long word repeatedly, you all know what I’m referring to by “Indian”. I wanted to do a post based on his chapter on Pilgrims, but that chapter is kind of all over the place. So I wrote this instead, which is partly based on Loewen. I like the Voortrekkers Day analogy. Thanksgiving is probably about as obscene as that. The great thing about Thanksgiving and Christmas in the American North is that they come at a time of year when the weather becomes decidedly grim and bleak. Christmas Eve is one of the longest nights of the year. These two holidays are like when the nurse distracts you when she puts in the needle. Weak adversaries need to GET OVER IT and MOVE ON and eat their damn turkey 😉 And stop feeling guilt for what others did to them! Years ago some native american activists tried to make Thanksgiving as a national mourning day, but for some reason that did not worked out. I find the whole story quite hilarious, in a very dark sarcastic way. Americans are celebrating the biggest mistake the local natives ever did when they kept those so-called pilgrims alive. Letting them die off would have given few more years for the locals. As for the term pilgrim. What pilgrims? They were not on a pilgrim to anywhere. They were bunch of religious extremist fanatics who were not persecuted because they wanted to live free and happy but because they were too extremist even for that time. Even the ducth, who were already by then extremely super tolerant (by the standards of that time) got pretty tired of these zelots when they first moved over there. It was only after the the dutch told these religious extremists take a hike, they had to look elsewhere and BING. There was new land somewhere across the big pond. This is an historical fact. The leader of this extremist movement escaped first to Holland but got booted out because he did not behave as nicely as he should have been behaving. So that guy got the bright idea of sailing across the pond and creating a new extremely religious society over there, one where their extremely intolerant and fanatic ways of life would be the only ones. They almost got lost at sea, some died on the journey because of the poor preparations and sailing, they actually landed where they landed by mistake, they were stupid enough to bring their own crops over and then wonder why these did not grow in this new land as well as in home etc. The so-called pilgrims were not greeted with universal gratitude by the natives. One guy saw his chance in a intra tribal powerplay with these weirdos and took the chance with them. That is why they survived. One power hungry native who tried to use these new comers as his tools in his own power play saved their hinds. That is also an historical fact. Almost every other guy wanted to take care of the business but this one guy was able to persuade the local chief to let them be and trade with them. Also the local natives had this principle that said basically live and let live and when the chief did not see any harm, so it was. Similar thing today would be a bunch of extreme talebans showing up in say, Boston, and start their own thing over there. And pretty soon they would start killing americans and shove their own language and their extreme version of religion down to the throats of americans, demanding that all americans should obey the sharia law, dress like they do, tell their stories and read their books etc., and every year there would be more and more talebans coming over. How would you feel about that? Eh….its’ not like “Native Americans” is any better a name, it homogenizes them and labels them with the name of their conquerors. Goes to show; my schooling actually got it right for once, only to disregard it in the teaching…. Though I had teachers admit in class infront of God and everybody that they only taught evolution because they had too. That and Thanksgiving; like near anything else is usually more complex and interesting than what they are willing to teach about it. I say use whatever words you want and if v-4 does not like it then he can gladly kick rocks. Considering that my reply to you was because you were wanting me to change it; instead of being of the mind to just “kick rocks” about it then. Your reply to me is then somewhat off. I don’t particularly care about what you want to call them just pointed out that Native American doesn’t come without its pitfalls either as a descriptive label. What should Indian people call themselves? Whatever their tribal lineage happens to be. Or whatever they feel like calling themselves, its pretty much up to them. It was I who stated “I say use whatever words you want and if v-4 does not like it then he can gladly kick rocks.” No more no less and certainly not a means to argue. Okay; yeah I definately wasn’t paying enough attention earlier when I was reading. I thought you were talking about the aboriginal tribes of the North and South Americas. Bit of a mistake there. Second, the origins of Thanksgiving go beyond Abe Lincoln and the Northern Wasps…Lincoln made it a national holiday, but it really does coincide with the settlement of the “pilgrims” and other northern settlers in the 1620s. However, we agree that the story we were told is a myth. During first great feast of peace in 1621 (as you accurately point out in the Thanksgiving article) the Wampanoags were poisoned by the colonists. Subsequently, in 1637, the colonists massacred 700 Pequots during a thankful feast, marking the first unofficial thanksgiving….to give thanks for the deaths of more so-called heathens. Maybe you should go live in Iraq. Your comments would be appreciated over there, not here. I’m embarrassed that I even checked out your Google sight. You should be more embarrassed by your moronic comment, but to each his own. Oh please, rewrite history. Sources please. The only proven point are that the original American Indians have Asian DNA. you do know this is fake news!